Well, the short answer is ‘It depends’ and for the slightly longer answer with some free, expert advice on alloy wheel refurbishment cost just keep reading. The first decision your alloy wheel refurbishment expert from We Fix Alloys will make with you is whether you need a mobile alloy wheel repair or a more extensive alloy wheel refurbishment in our fully provisioned workshop. We recommend all our customers send us a photo by text to 07890 691838 or by email to hello@wefixalloys.co.uk or drop by our workshop so that we can give accurate quotations on their alloy wheel refurbishment cost. This means we can ensure that we offer the right service, first time, every time. You can schedule a visit at a time and place of your choosing, either at home, work or play. 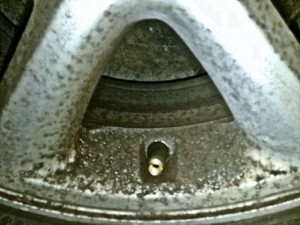 All we need to work on your damaged alloy wheels is a little water and access to two 13amp sockets. We take around an hour to transform each damaged alloy into what will look like new alloy wheels. Our mobile alloy wheel repair vans are specially equipped to repair scratched alloys, kerbed alloys and alloys just showing their age! One decision we like our customers to consider when booking a mobile alloy wheel repair is how the repaired alloy will wheel look compared to the other wheels – it’ll look like a new one! We would encourage you to get 2 wheels done as then the difference between the sides of the car will not be so noticeable. For this reason we often have special offers on with reduced costs for more than one alloy wheel repair. Make sure you sign up to our newsletter to be included in future special offers. We can also repair alloy wheels that are badly damaged, have corrosion or oxidisation, or are buckled and bent and are too damaged to repaired at home. Good as our mobile alloy wheel repair vans and technicians are there are limitations to what can be achieved at the roadside. The first job is to take the wheels off your car and then the tyres off the wheels. Then the wheels go into our bespoke designed environmentally friendly acid stripping system. Then we use a specially designed blasting cabinet to make sure the wheels are completely cleaned of their old paint. Next they are sanded and filled to make sure the surface is as smooth as possible before they are powder coated and returned to their showroom condition. 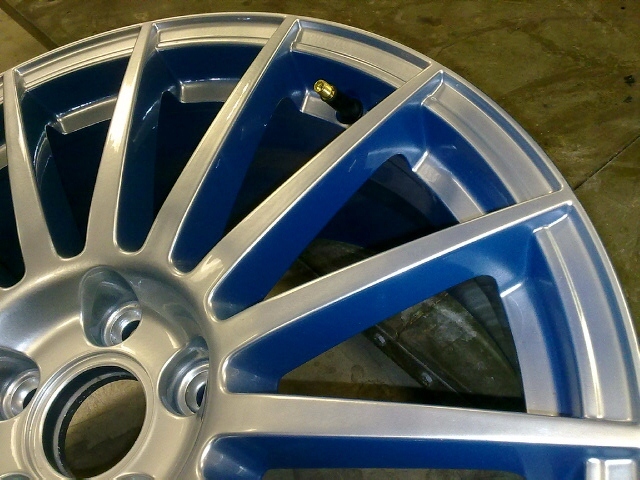 Of course, when you have your alloy wheels fully refurbished then you can change the colour. This is where you have the opportunity to fully customise the work we do for you. We literally have 100’s of photos in our gallery – why not take a look today? Driving in the winter is very different than in other times of the year. Adverse weather and longer periods of darkness (especially after the clocks go back at the end of October) makes driving more hazardous. Prolonged periods of heavy snow and floods means that we need to adapt the way we drive. If this doesn’t work, you may have to ask a friendly passerby for a push or get your shovel out. Thanks to RoSPA for this detailed advice. Alloy Wheel Refurbishment – What happens in the alloy wheel repair process? 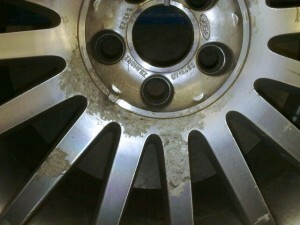 What happens in the Alloy Wheel repair process? 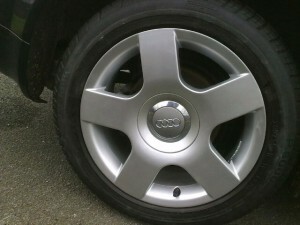 Alloy Wheel Refurbishment is a way of saving money by having your wheels repaired instead of replaced. 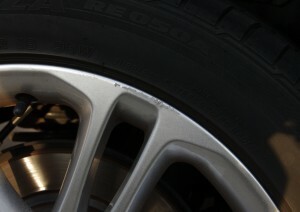 This article describes the process used by this professional wheel repair company. Alloy wheels are expensive. You don’t want to replace them unless they are very badly damaged. If you want to get them repaired you don’t want to let just anyone have a go at repairing them. So make sure you use a specialist Alloy Wheel Refurbishment company. Avoid the cowboys – more on this here. 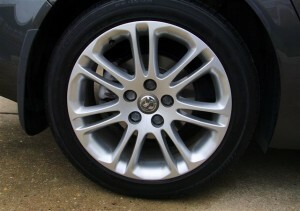 Repairing or refurbishing wheels involves removing them from the car (or motor bike, van or golf cart!). The wheels also need to be separated from the tyres so a proper repair can take place without missing any parts of the wheel that can’t be reached. Some companies claim to complete a full refurbishment when they are only spraying the front of the wheel and not removing corrosion first – avoid these companies! You will end up paying twice and nobody wants that! The wheel is first stripped of the lacquer coating using a strong acid. 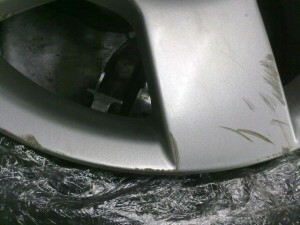 Then, if the damage is bad, or if there is any corrosion of the alloy, the wheel is sandblasted. Any dents or deep scratches can be filled with a suitable filler. Even the most damaged of wheels can be fixed by the experienced welder we use. The wheel is then heated and powdercoated before a clear (or sometimes coloured) lacquer coat is applied. Finally the tyres are replaced and the wheels rebalanced before being fitted back on the vehicle. There are some exceptions to this process. If the damage is slight and easily accessible it’s possible to carry out a quick cosmetic repair but be skeptical of any repair service that quotes you a ridiculously low price for a thorough job. All they’ll do is flash over the damage and in a few months time your wheels will look as shabby as ever and you’ll be back where you started! So, it’s not a simple process but, using modern equipment, it can be carried out quickly and inexpensively (compared to the cost of a new set of wheels). We will need you to bring the wheels to our workshop and we can usually complete the repairs in a day. 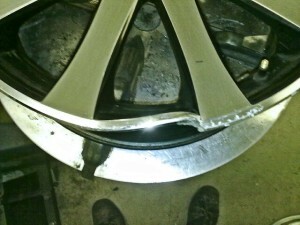 So now you know all about the alloy wheel repair process why not get in touch and book your alloy wheel repair in today!